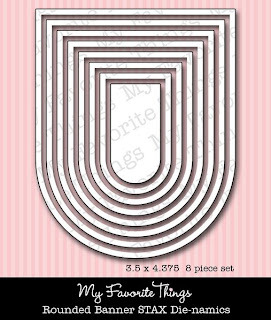 ...just a little something....: MFT New Products NOW Available! MFT New Products NOW Available! 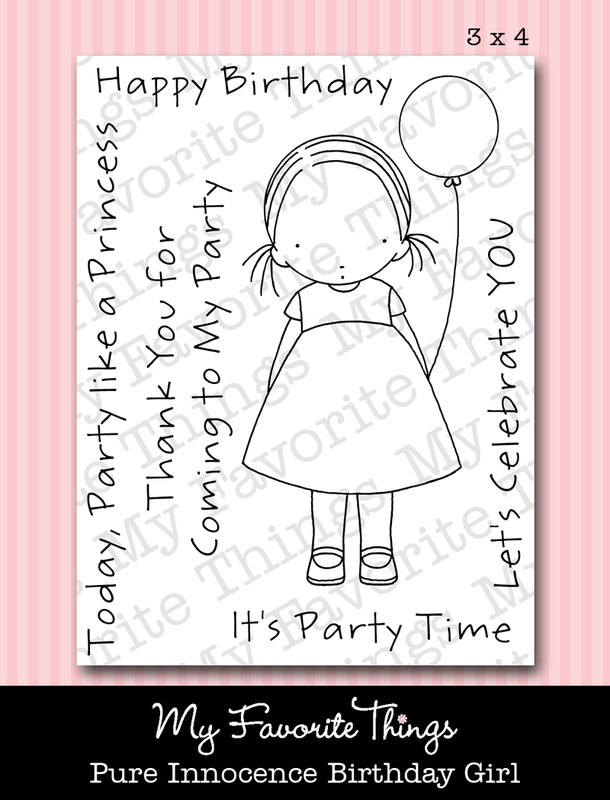 Tonight I have two projects to share with you using this sweet new Pure Innocence: Birthday Girl. If you haven't picked up the X-Press it Blending Paper from Copic, I just love it for my coloring. I added a little bit of the Simply Scallops Die-namics and then pulled and lifted each one of those scallops forward for extra detail. My second project today is a little birthday bag and tag, with a much softer color combination. I stamped the Birthday Girl to a piece of X-Press It and then added a Hot Fudge Matting. These rectangles were cut with the Die-namics Rectangle STAX. I've got a trio of Fishtail Flags STAX hanging below. 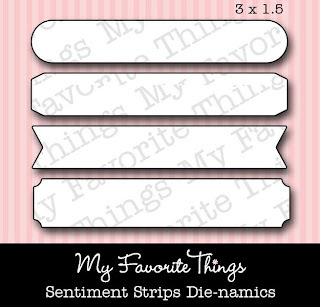 I love when they can extend beyond the bottom border on a tag since they don't have to get squished into an envelope! 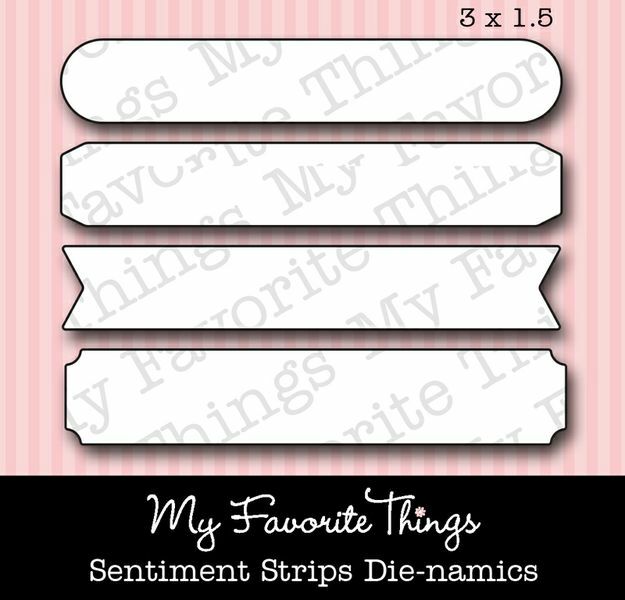 The sentiment is tucked onto the new Sentiment Strips Die-namics. I've folded back one side, and stitched it in place on my panel. Don't forget to stop by the MFT Blog for a full list of designers with samples to share with you tonight, and then pop on over to the MFT Shop to pick up your favorite new items! 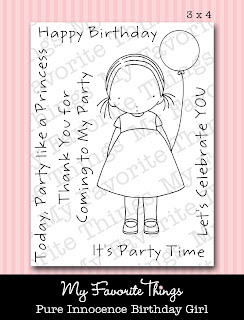 Love this adorable card and tag! So cute. You rock GF! Love the gift bag idea! Joanne both the bag with tag and the card are done to perfection! Beautiful work, as always! Your cards are wonderful, she looks so sweet. Both are so sweet!!! Sure do love the colors on the 1st one!!!! So sweet! Love the gift bag! Brilliant! Love how you used the dies! These are adorable. Love the PI image and the new dies. Great card and tag! The papers are so pretty! That bag and tag are sooo... cute! 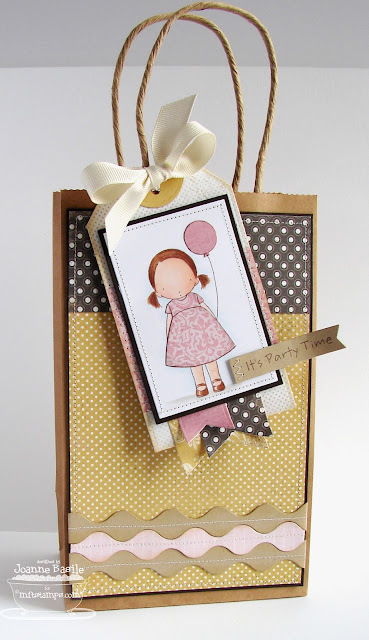 Cute card, gift bag and tag. I love how you turned the banner die around. It gives the impression that the little girl is standing in a doorway. love your gift bag idea nicely done. What a cute gift bag and very cute card. You did a wonderful job and what a great stamp set. Adorable card and gift bag! This little PI birthday girl is definately on my wish list! So adorable Joanne! Love the gift bag! Super cuter arcs Joanne! 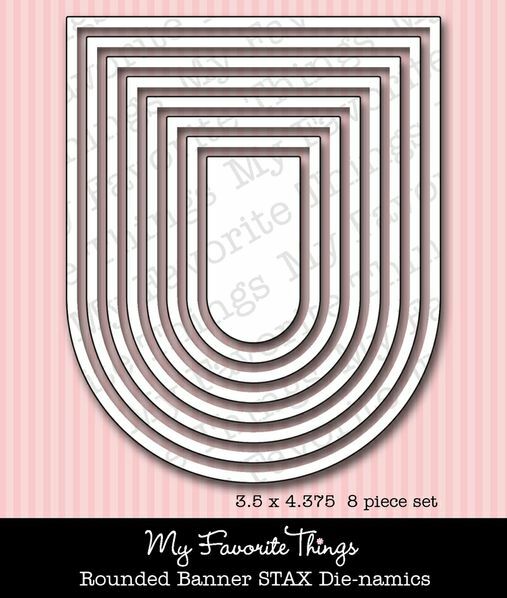 love the new dies from MFT!!!! Love the card and how you decorated the bag and tag. Too cute. Love the gift bag, gift tag and the jumbo squiggles. Just the name make me squiggle! Perfect color combo! ADORABLE!!! This is one of my new favorites PI images! SOOOO darling with that paper piecing too!!! Your card is beautiful! Now MFT need to come out with a balloon die. such a sweet card! Love the patterned paper! LOVE your card and gift bag! I just picked up a Kraft gift bag yesterday to alter for a birthday gift, so this really inspired me! What a cute idea for a gift. Everything coordinates so perfectly. Such cute projects Joanne! Thanks for showing their versatility! Oh, I just love PI! Your card is beautiful and that tag and bag what a great idea!